While it is normal for a bee colony to lose between five and 10 percent of its members each winter, in recent years these declines have averaged between 30 and 50 percent; some farmers have reported 90 percent die-offs in a single year. Though Big Agri companies like Monsanto, DuPont and Syngenta have done their best to avert blame, one of the biggest contributors to the honey bee crisis is the use of neonicotinoid pesticides they produce, as was recently confirmed by a study published in the journal Science. Researchers from York University and Université Laval in Canada investigated the effects of these harmful pesticides on honey bee populations by studying colonies naturally exposed to neonicotinoids during their active season. So, what exactly are these harmful chemicals? Neonicotinoids – or neonics, as they are commonly known – are the most widely used pesticides in conventional farming. They ward off insects by affecting their central nervous systems, causing paralysis and death. Neonics are sprayed on seeds or directly on crops, where they are taken right up into the plants’ flowers, leaves, roots, stems, pollen and nectar. This poses an obvious danger to pollinators like bees and butterflies. The Center for Food Safety reports that there is a direct correlation between the use of neonics and the decline in honey bee populations. In fact, states with the most widespread use of neonics, including Illinois, Indiana, Iowa, Kansas and Missouri, have also experienced the most dramatic declines in honey bee populations. Bees exposed to neonics have exhibited learning problems, fertility problems, trouble with memory, difficulty foraging and impaired motor activity. 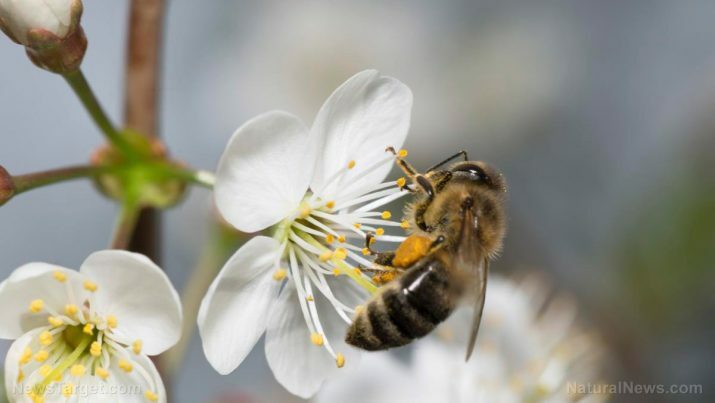 It would seem reasonable to expect that the Environmental Protection Agency (EPA), tasked with preserving our country’s environment, would be taking active steps to avert the impending food crisis that is sure to follow if urgent steps are not taken to save the honey bees. Instead, though the EPA has known about the devastating effects of pesticides on honey bees since the 1970s, they have not only done nothing to prevent the disaster, but have taken steps to silence scientists trying to raise the alarm. Former EPA scientist, Evaggelos Vallianatos, claims that the agency reacted “with fury” when one of its scientists discovered neurotoxic plastic spheres inside a honey bee queen and pointed out that the honey would therefore be contaminated. Vallianatos also claims that scientists who dared to speak out about the pesticide/honey bee die-off link were forced out of the lab and into desk jobs in Washington. Nonetheless, despite the best efforts of Big Agri and their EPA cronies, it has now been established without any doubt that neonicotinoids are dangerous chemicals that must be banned or they will destroy the honey bees, creating a food crisis for humankind such as we have never encountered in our history.